EAT CHIPOTLE WITH THE SEAHORSES! - Wa-la! 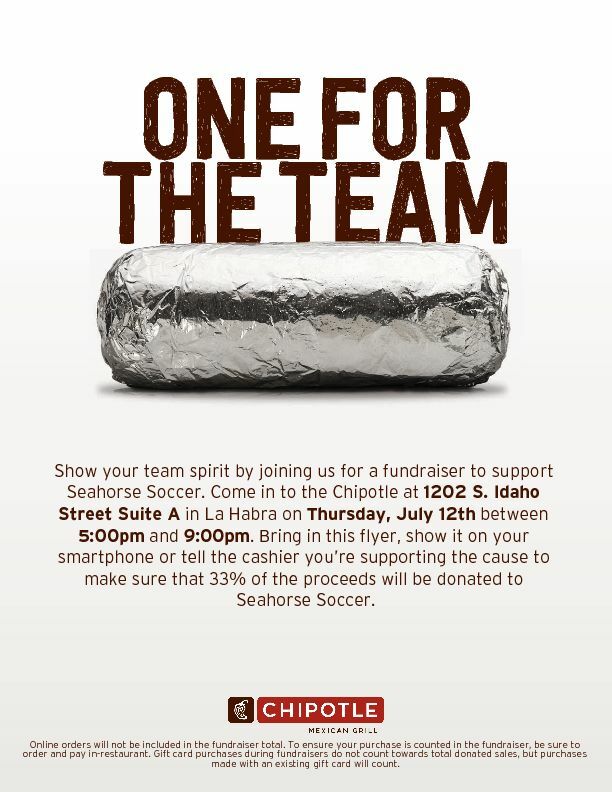 You get a night off from cooking, and 33% of the proceeds from your meal go towards Seahorse Soccer!